Five years of online shopping and counting... hahah. I cannot deny the fact that online shopping has made my life a lot easier. For a mom that has a hard row to hoe juggling being a home maker and a working mom at the same time, who seldom goes out and has a very limited shopping place in the area, online shopping is indeed a keeper. 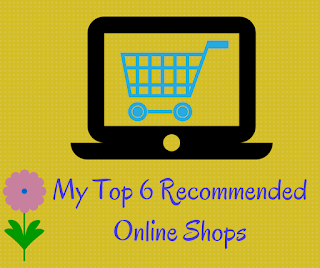 I would like to share my personal list of my top trusted online shops of all time. This is also to give recommendation to those who are contemplating which online shop to go for since I know there are a lot of online shops that are scams who take your money and run. 1. Lazada - I have ordered from Lazada more than twice already and they never failed to deliver great service at all times. The whole process of ordering, paying, confirming and delivery has always been smooth and hassle-free. Most of what I have ordered from them were electronics, like digicam and android phone. They accept payment thru Paypal, credit card, bank transfer and even COD. So if you still doubt them, you can pay your order once it is delivered to your doorsteps. 2. Zalora - When it comes to our footwear, this is the online shop I go for. They will keep you updated during the whole process after you paid your items until it delivered to your doorsteps. They answer pretty fast with your questions or queries. Make sure to sign up to their mailing list to receive special offers. 3. Cudsly - For my baby needs, this is the perfect choice of online shop. They carry different international brands for your 0 months old baby to your 10 year old child, You no longer have to order from other countries because Cudsly offers all the stuff from newborn essentials, wash and wash cloths, stroller and stroller accessories to Maternity & Nursing Clothes. They also offer free shipping, you can read their shipping policy for more info. 4. Makeupholics - Here is my best interest, lol. I love wearing makeups because I wanna look presentable at all times despite of my super crazy schedule. Makeupholics sells authentic cosmetics at a low price. I had few transactions with them already and the items arrived pretty fast. 5. Tinda Sitas - Owned by a girl named Ellaine. Her online shop had me and my sis when it comes to shopping for nice dresses. She sells cute and pretty clothes at a very reasonable price. 6. Rara G Skin Necessities - Owned by Rara, this is where I get my skin care products. She sells authentic Proffesional Skin Care Formula by Dr. Alvin products. You can check my reviews here.